Zucchini Chicken Kebabs : easy kebab recipe using chicken and zucchini that can be served as appetizer or side. I’ve always been very fond of kebabs and keep thinking of ways to invent newer varieties which is palatable to not only to my Indian roots but also to my global taste buds. One more happy fact is that, the mixture can be pre-made and stored in freezer for about a month. Hence all you need to do is thaw a night before and make fresh kebabs. Kebabs in India are traditionally made using meat (chicken/lamb/goat), lentils, lots of spices (hence the spicy flavor) and deep fried (Infact people tend to ask for re-fry if they think it’s not fried to their heart’s content). They are prepared in family get-together / special occasions or to celebrate any happy occasion. Every state has their different version and serving ideas from stuffed in Indian Naan/Bread to Rice or eaten as a snack or with drinks. 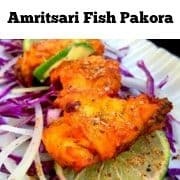 It’s also one of the very popular street food in India. 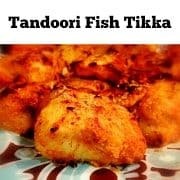 Now if you are once in 3-6 months kebabs eater, I can understand so much of fried stuff but if you are like me and want to have it frequently, then we have to figure out ways to make it healthier. 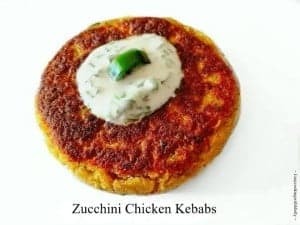 Hence “Zucchini Chicken Kebabs” recipe was born, it involves your seasonal green veggie along with lentil and chicken (to make it heart healthy) and few spices which are easily available in most kitchens/pantry along with other everyday ingredients. 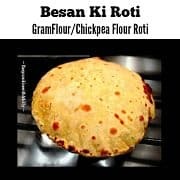 Infact, when I first made them, it was hard to believe that something made using such basic/simple ingredients can give such a delicious taste…..they melt in your mouth and taste just AWESOME ! 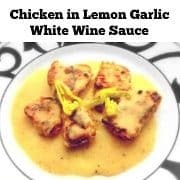 Since this is a milder version (spice and flavor), it can be easily introduced to kids and can also be used in burgers. 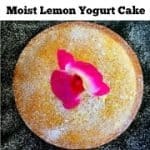 In a bowl, add all the yogurt dip ingredient, mix thoroughly and chill in fridge. In a large pot add chicken, lentil, bay-leaf, black-pepper, ginger, garlic, onion, water and cook till lentil & chicken is cooked (about 15 minutes)OR If using pressure cooker, give 3 whistles and switch the heat off. 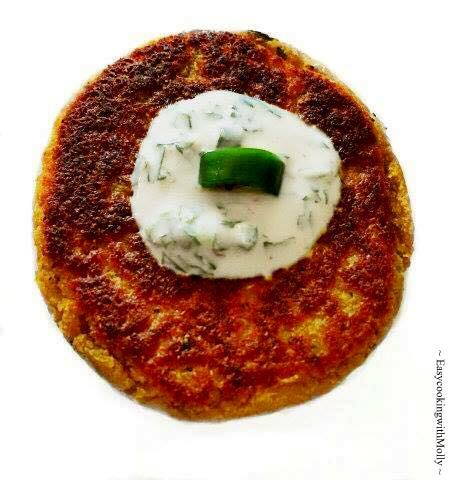 In a food-processor, add the cooled mixture, all the spices and remaining kebabs ingredients except oil. Now mix everything to a smooth dry texture (use the drained water for this). Evenly divide the mixture into 16-18 medium size balls. Now wet your hands and make flatten each ball into the shape of kebabs (circular or any shape you want). Heat a large non-stick pan(2-3 minutes) on high and add 1 tbsp oil. Place 5-6 kebabs (depending on the size of the pan) and cook till golden brown (3-4 minutes on medium heat). Now turn the kebabs to other side, add 1 tbsp of oil and let it cook till golden brown. Follow the step above till all the kebabs are made. Take a serving dish, place 8-10 kebabs, dollop each kebab with chilled yogurt dip. No Replies to "Zucchini Chicken Kebabs"